On his last long walk, septuagenarian war hero, deserter, and professor Alessandro Giuliani shares his past with an illiterate young factory worker, spinning a remarkable tale of heart-stopping escapes, of loves unrequited and won, of madmen, dwarfs, and mafiosi. 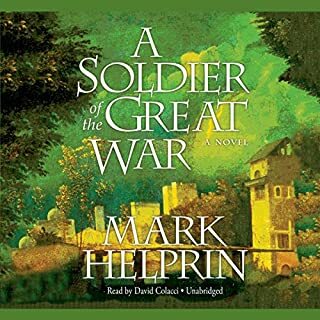 But overshadowing all is his most miraculous and terrible adventure, the Great War: a surreal parade of horrors that devastated and defined Alessandro, yet enabled him to experience fully the magic and beauty of the absurd human comedy called life. One night, Peter Lake - orphan, master-mechanic, and master second-story man - attempts to rob a fortress-like mansion on the Upper West Side. Though he thinks the house is empty, the daughter of the house is home. Thus begins the affair between the middle-aged Irish burglar and Beverly Penn, a young girl who is dying. Because of a love that at first he cannot fully understand, Peter, a simple and uneducated man, will be driven "to stop time and bring back the dead". New York in 1947 glows with postwar energy. Harry Copeland, an elite paratrooper who fought behind enemy lines in Europe, returns home to run the family business. In a single, magical encounter on the Staten Island ferry, the young singer and heiress Catherine Thomas Hale falls for him instantly but too late to prevent her engagement to a much older man. Harry and Catherine pursue one another in a romance played out in postwar America’s Broadway theaters, Long Island mansions, and the haunts of gangsters. 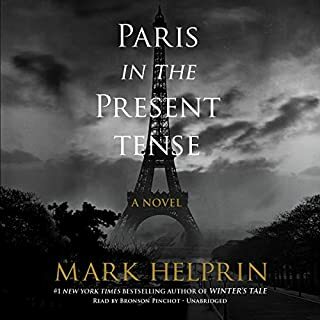 Best-selling, critically acclaimed author Mark Helprin's work has drawn favorable comparisons to an elite group of literary legends, including James Joyce, Franz Kafka, Edgar Allan Poe, and Thomas Mann. Helprin's sheer comic brilliance shines in this ingenious farce. Freddy is the bright but aloof Prince of Wales. Fredericka is his blonde, beautiful, and beloved wife. When they stumble into a public relations nightmare with no easy solution, they must make amends by serving an unusual penance. Literally dropped from a plane into a mysterious place called Hoboken, New Jersey, Freddy and Fredericka are given one task. They must reconquer America! A thinly veiled satire of what might have happened if Princess Diana had survived, Freddy and Fredericka is an imaginative gem full of clever wordplay and wicked political jabs. After listening to the first forty-five minutes, I thought it was just going to be subtle, boring, and looong. I gave it a bit more of a chance though, and am so glad that I did! I love the narrator and definitely think that he brings out the many nuances of the story. Albeit a bit of a fluff ending, but the body of the story switches between hilarious dialogue and nice descriptions of the surroundings and background story. All in all a great buy. I admit it, I?m easier on audio books than printed ones because I tend to use them while occupying myself ?doing something else? but I?ve never listened to one twice before. This is fabulous. I highly recommend it for humor, fun and plain old smart stupid wit. It?s a romp and a pun and a mockery of everything dull. As an aside, if you haven?t listened to ?dr. strange and mister norrel? I also recommend that. These are two books I have gone out and bought in print after the audio. That (for me, the cheapest of the cheap) is a rarity.Get it, listen to it, lighten up and enjoy a fairy tale of america. 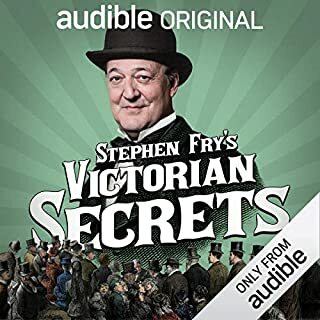 This is a wonderful book and I could not stop laughing out loud as I listened (which is a first for me). While the narrator's inability to even try an American accent is jarring, you can get used to it eventually and he does do an excellent job with the English characters. His high class "twit" (think Monty Python- the Graham Chapman and John Cleese characters) voice for the absurdist "Who's on first?" colloquys between the title characters are right on point. In fact I'm not sure they would be so humorous if I read them as opposed to listening to this narrator. The overall themes of the novel are somewhat forgettable (hard work and bravery are the spice of life....) but cannot overshadow the essential humor. Prepare to be entertained not edified. SIX (On a scale of 1-5)! 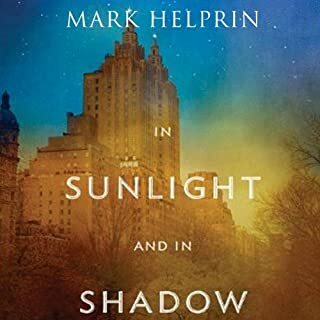 I've read other Halprin books, and he's always shown a lot of potential, and some terrific writing in places. But in this book he really put it all together: wit, satire, tenderness. My wife and I loved it. Be patient: he takes his time, but it's worth the wait. Listen to the UNabridged. Despite its length, Helprin isn't trying to get you there quickly. Rather, he's letting you savor the details of each event, so you have to be patient. But if you are, you'll be amply rewarded. God save Craig-Vyvyan! I liked it. It was weird, beautiful, and funny. I listened to much of it hiking alone through the Sierra Nevada, which is strangely appropriate. (Why I might think it strangely appropriate to listen to a comic novel about a mythical Prince and Princess of Wales while hiking through a pristine American forest will only become apparent after reading the book.) I finished it a week ago, and it still hangs on. There were times it seemed overly repetitive, overly long, overly repetitive, and overly long but that is part of what makes it so hypnotic. It feels more like a dream that I've woken from rather than something I've just listened to. Then again, maybe that was the forest. Anyway, Its really worth a try, because however overlong you may find it, it is still beautiful and strange and funny, or so says Mr. Neil (who you may look up if you have a 1911 edition of the Encyclopedia Britannica) Yes, now that I think about it, I liked it quite a bit. How often do you get to dream that you are the Prince (or Princess) of Wales? God save Mark Helprin! You can see from the other reviews that people either love or hate this book. I loved it. Helprin has a wonderful sense of comic timing that is drawn out to great (sometimes excruciating) effect when experienced "out loud" vs. on paper. 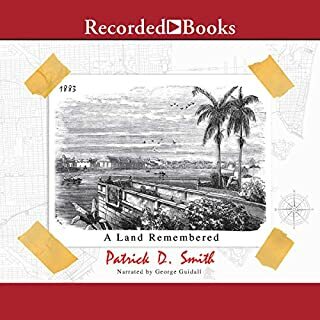 I loved both the laugh out loud descriptions of American and British politics; well as the idiosyncracies and beauties of american life and landscape. I listened to some parts of this book multiple times. Helprin has a unique viewpoint; somehow both sorrowful and silly. Enjoy! 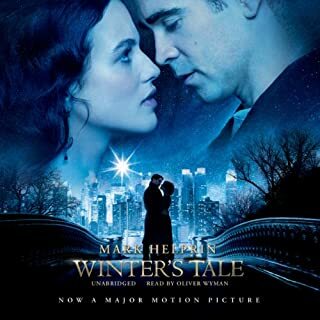 I loved Winters Tale by Helprin and was willing to take on another 20+ hours with him. Perhaps it is my state of mind, but Freddy, Fredericka and I just didn't click. After a many minutes long exchange on the word "bosom," I had to bail. Maybe another time and place, but for now, whew, it was too much work. Argh - Can I have my credit back please?!?!? After listening to another british comedy fiction (In Your Dreams) which was very funny and enjoyable to listen to, I bought Freddy and Fredericka. Okay, now imagine Monty Python only the actors aren't funny and they think they're being serious dramatic actors. 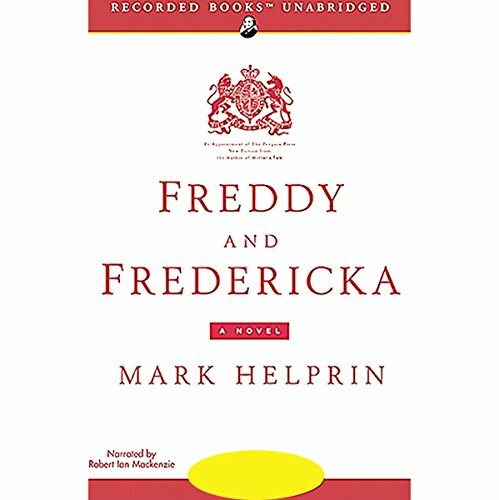 Normally I hate abridged books, but Mark Helprin's Freddy and Fredericka could have used a lot of cutting, preferably with a machete. I chose this title because the New York Times gave it an ecstatic review and because I enjoy fiction with humor. Instead of a comic novel, I listened to what sounded like a first draft manuscript. It rambled off in all directions and made side trips that had nothing to do with the story or the characters. The book was 25 1/2 hours long! Much of the comedy in this book came from hopelessly contrived, heavy handed situations. For example, Prince Frederick goes through a village calling for his wife's dog, Far Q. These silly verbal misunderstandings cropped up every few pages. Instead of making me laugh, they frustrated me because the characters should have been intelligent enough to reason their way out of them. This brings me to another complaint. Were Freddy and Fredericka intelligent or not? Instead of giving them believable intellects, the author yanked them around like marionettes. One moment Freddy stupidly sets up shop as a dentist despite the fact that he knows nothing about dentistry. The next moment's he's on Night Line, dazzling Ted Koppel with his brilliance. One moment Fredericka has never read a book, the next she?s spouting Shakespeare. To be fair, Mr. Helprin?s a gifted writer and there were wonderful moments. When Craig-Vyvyan took flight, the book soared with him. The Prince and Princess? escape from the forest fire was memorable. But these passages were too few and the un-funny comedy set pieces were too frequent. This is one book I would not recommend to my friends.